Beautiful, private, custom hillside home. A home that truly that has it all. 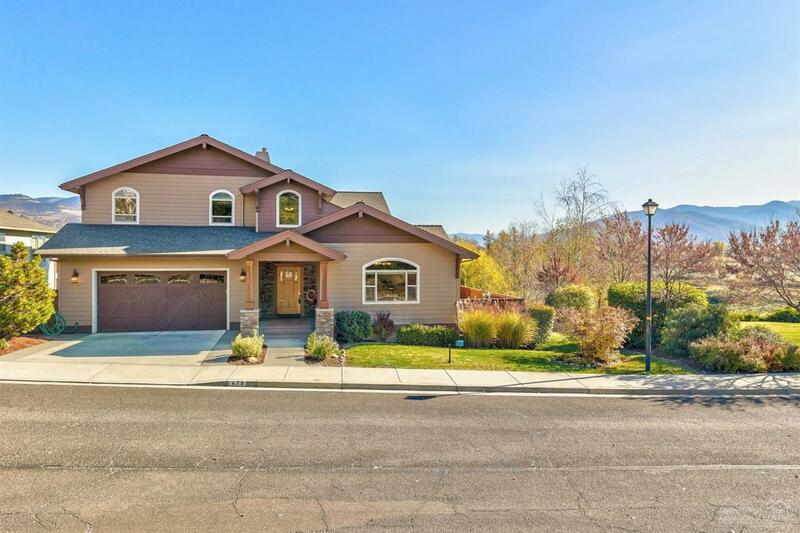 3 bed, 2.5 bath, 3,368 square feet. 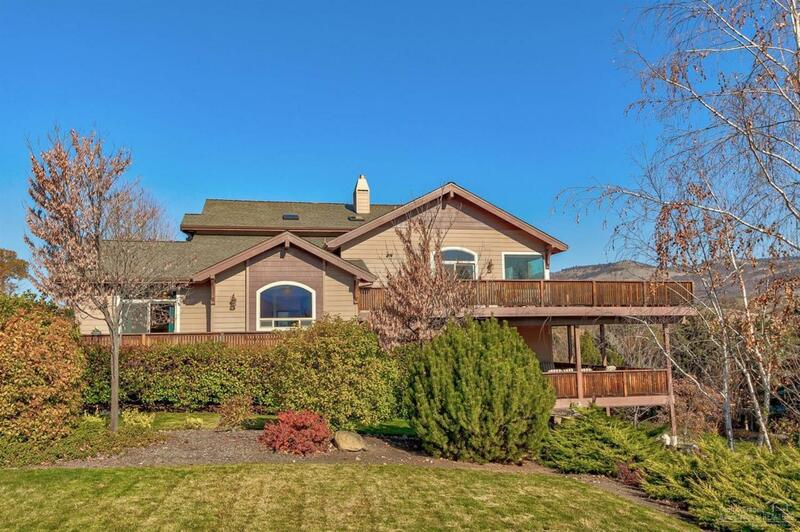 Wonderful views, bright interior, high ceilings, large picture windows, skylights, two gas fireplaces & multiple built-in entertainment centers. Attractive Brazilian Cherry hardwood with inlays, carpet, & tile flooring. Central Vacuum System including garage. 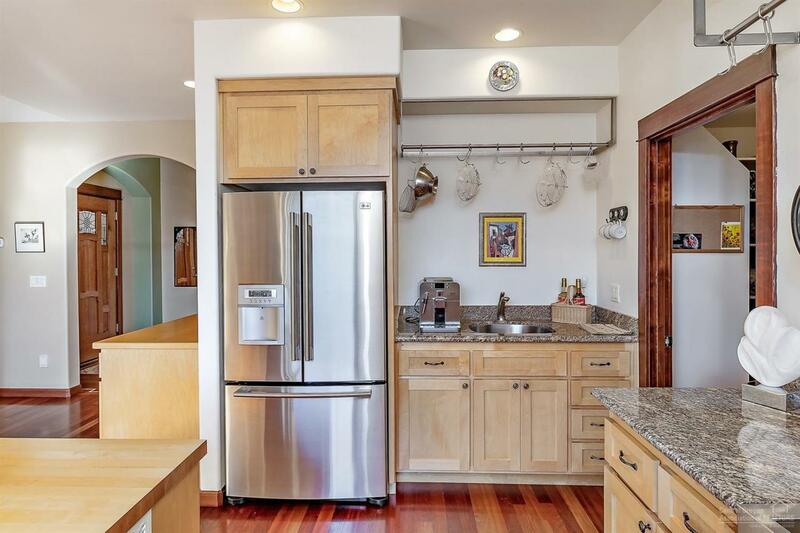 Kitchen offers granite tops, island, gas cooking, built-in microwave, 2nd sink. Extra-large pantry with wine cooler, freezer & 2nd refrigerator. 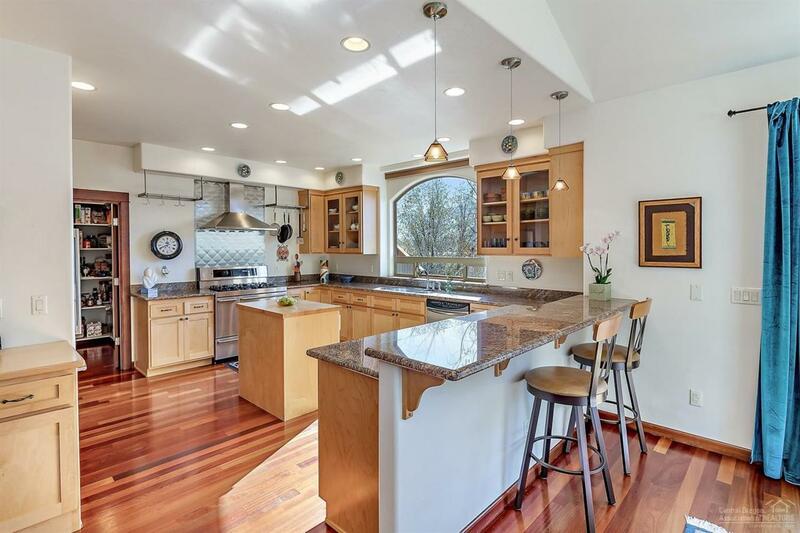 Private upper floor features large master with wet bar, large master bath & work area with 2 built in desks. Whole House Audio System & Multi-Zone HVAC System. Finished garage with sink. Nicely landscaped, low maintenance yard. Additionally, plumbed for gas BBQ & pre-wired for more audio plus alarm system. Per owner, 1800 square feet of well-maintained redwood deck. Lots of storage. Take the time to visit this home, you will truly be amazed. Listing courtesy of Harvey Realty Group, Inc.. Listing provided courtesy of Harvey Realty Group, Inc..